Social networking: More than half of all libraries were on Facebook. For libraries serving populations of 25,000-499,999, this number jumped to 4 in 5, and to more than 9 in 10 for the largest libraries (serving 500,000+). The smallest libraries (serving less than 10,000) showed the biggest increase in adoption of this social network from 2010 to 2012: 18% to 54%. 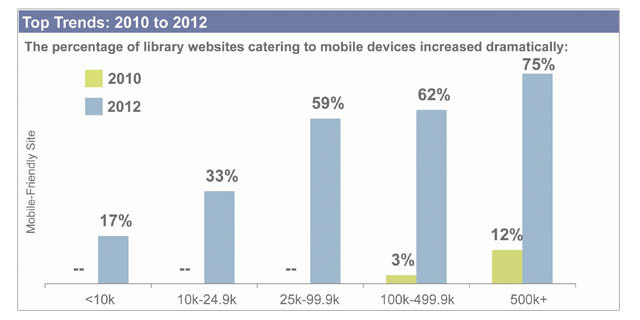 Mobile access: In 2010 we detected the presence of any type of mobile-friendly website access in only 12 percent of the largest public libraries, 3 percent of libraries serving 100,000-499,999, and no libraries serving less than 100,000. 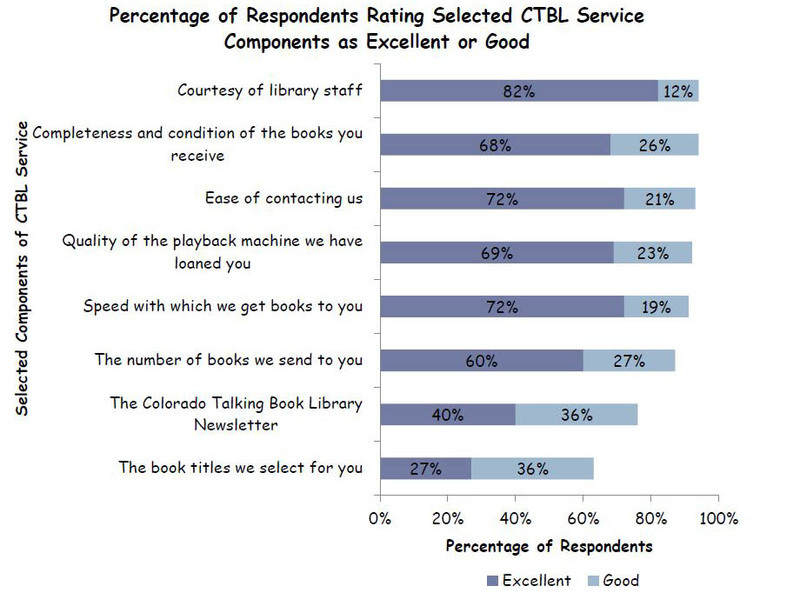 In 2012, three-fourths of the largest libraries offered mobile-friendly access, followed by about 3 in 5 libraries serving 25,000-499,999, one-third of libraries serving 10,000-24,000, and 17% of the smallest libraries. Text reference: From 2010 to 2012, text reference increased by 231% in the largest libraries, 375% in libraries serving 100,000-499,999, 125% in libraries serving 25,000-99,999, and 250% in libraries serving 10,000-24,999. Infographic: summarizes the study’s findings.